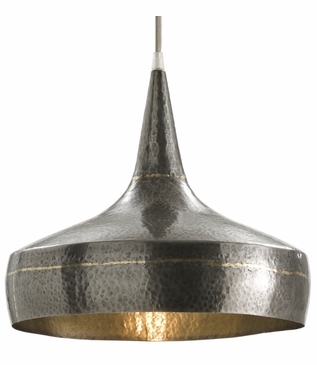 This pendant is simply sophisticated. 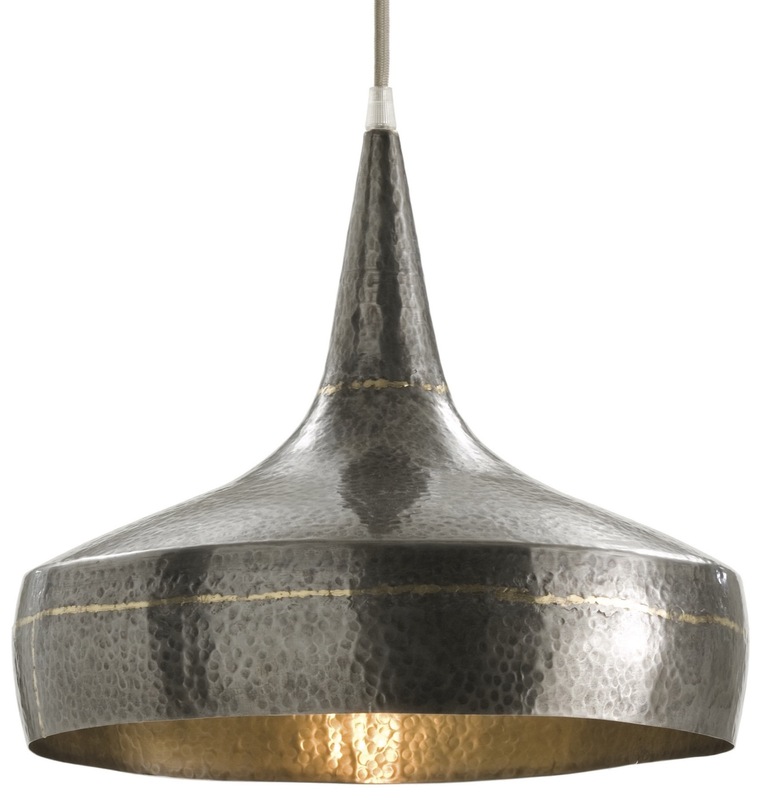 Made of hammered iron with a dark silver finish and brass ring details. Includes 9.5' cord. 1-60W maximum, type A bulb.